Discussion in 'TalkCeltic News' started by V For Vendetta, Feb 6, 2019. There's been times this season where I've generally sat back and thought when the * was our last home game? Now it seems those disco lights are truly getting a good use with 3 of our last 4 league games being at home! Tonight Celtic faced the green half of Edinburgh, Hibernian. Hibs who recently parted company with Celtic legend Neil Lennon were coming into the game in 8th place, a position a club the size of Hibs should not be in, Eddie May the Hibernian youth coach took charge of them tonight and he faced a Celtic side who have been in top form since 2nd half of the season had started. Celtic went into the game with injury and suspension problems but it was a pleasant surprise to see new signing Bayo named on the subs bench while Toljan made his first start for the club, starting along with him was Celtic captain and Legend Scott Brown who has just signed a new 2 year deal with us which see’s him stay with the side until 2021. We also saw Oli Burke & Timo Weah start in the same team as Celtic started with an attacking line up. Celtic Vs Hibernian matches have been a banana skin of late since Hibs return to the top flight. with Neil Lennon showing a number of times he knew how to set up and defeat the men in hoops, to Hibs credit they very rarely sit back like many SPL sides and will come out and attack Celtic, however with Lennon no longer in the Hibs dug out would they sacrifice the more open approach and adopt a defensive one in hope to get something out of the game, it's also worth noting that Hibernian haven't beaten Celtic at Parkhead in 9 years. The game started with a bit of ping pong, Scott Bain played a loose pass down the middle of the park but it came to absolutely nothing with Celtic retaining possession and Hibs trying to win the ball high up. After only a few minutes Callum McGregor picked the ball up around 25 yards out of the Hibs goal and weaved his way into the D but his shot was blocked, it was an early marker for the Celts who looked to assert there dominance early. There were a few half chances for Celtic with Sinclair having a deflected shot wide and Boyata chesting the ball down inside the 6 yard box from a corner looking for a runner, but there was nothing concrete inside the first 10 minutes, Celtic also showed some early lapses in concentration with Weah and Izzy giving the ball away cheaply much to the fans frustration. It was still a scrappy affair after 15 minutes with Celtic holding the ball well at times but giving the ball away cheaply and allowing Hibs the chance to counter which they failed to do a number of times, Toljan offered something Celtic have been missing for a while now in width out right, while Christie was finding good pockets of space but not quite getting the service he required. Christie then dispossessed Hanlan 25 yards out of the Hibs goal and just shot wide but it was good pressing from the young Scotsman and he will be upset that he didn’t do better. Timo Weah a man who has really bought into Celtic since hes joined then had a chance after being put through by Callum McGregor but his attempt to flick it in the net was stopped by the Hibs keeper, Weah has shown a number of times he is a threat on the last shoulder of the defence. Scott Sinclair was next to take a pop at the Hibs goal, the Englishman did his trade mark cut inside on his right foot and shoot but this time hit it over the bar. The Celtic pressure finally paid off on the 24th minute mark when some good link up play between Timo The Hun Slayer Weah linked up well with the Toljan horse and the second best German at Celtic played the ball inside to Ryan Christie who took a touch with his right foot and slotted it past Marciano to make it 1-0 Celtic! The goal was nothing more than Celtic deserved with the Hoops dominating the game, Weah in my opinion is never a winger but showed good link up play with his loan compatriot Toljan. Weah then tested the Hibs keeper with a long range left footed drive, the Hibs keeper parried it away well but Celtic were well on top of the game with the half hour mark passing. Hibernian started flying in with a few tasty tackles, Milligan was booked after 2 fouls on first Brown then McGregor, the Australian was just being a dirty *. Celtic were dominant all over the park with the forward line interchanging and finding spaces in between the hibs lines and trying to play bounce 1-2s or spin and shoot, Tim Weah in particular showed a number of quick turns and bursts of pace away from his man, the 40th minute mark was coming up and it was hard to remember the last time Hibs had the ball in the Celtic area. Scott Sinclair then gave us a glimpse of the old Scott Sinclair collecting the ball wide left and then beating both Gray and another Hibs defender but rounding the keeper but just over running it, it was a fantastic run by Sinclair who has looked his old self of late. Half time came and it was a very dominant 1-0 Celtic lead, the Hoops looked sharp in attacking areas and can feel aggrieved that it was only 1-0, Jozo the Provo also looked solid at the back but truth be told there was very little Hibs threat despite them coming out much more than most sides. The teams came out for the 2nd half, Hibs brought on the renowned Celtic fan Marc McNulty for Oli Shaw while Celtic remained unchanged, as soon as the whistle went Scott Brown gave Milligan a * wack for being a smelly tramp * and took a yellow card. Celtic then burst down the right with Timo Weah, his cross found Sinclair but it was a tough ask for the Englishman to score as he was being well marked and he volleyed wide. Very little happened after that for about 10 minutes till the Toljan horse burst down the right and played it inside to Tim Weah who's pass to Christie saw the Scotsman toe poke an effort towards goal which was dealt with easly. Oli Burke and Callum McGregor then made positive runs forward both showing guile and skill getting past there men but the ball was cleared out of play both times, Celtic then won a free kick around 25 yards out on the far left with Ryan Christie delivering a superb ball in which Dedrick Boyata met and forced the Hibs keeper Marciano to produce a brilliant save, it should of been 2-0 Celtic but Marciano kept his side in the game. The hour mark passed and despite the 2nd half being a dominant Celtic performance we didn't create loads, however Ryan Christie drove forward down the middle and played in Oli Burke who made his move on the shoulder of the defender, Burke took a touch and shot across the Hibs keeper who got a good touch on it but the ball bobbled into the net to make it 2-0 Celtic! Celtic players discussing who they think will lead the fight against Thanos in the next avengers. Personally i was absolutely delighted for Burke, he is a player who like Weah has shown a great attitude at Celtic so far, his athleticism and dribbling ability has been 2nd to none and he presses brilliantly, like many I would be very happy to see him sign here full time even if he costs a premium fee. Marc McNulty pounced on a long ball as they kicked off and shot over which up to the 67th minute was about the best chance Hibs had and it wasn't really even a chance. Mikey Johnstone was ready to come on for Celtic and he replaced Scott Sinclair who almost scored just before he came off after shooting just over the bar following his special move of cut in on his right and shoot over. 17 minutes remained and it was all Celtic, I was screaming for Bayo to come on next, but Tam Boyd told me it was gonna be Bitton, shame, the Zionist (*) Zidane replaced Boyata. Next up to come on however was the Ivorian Yakubu, Bayooooooo, started to warm up, and as he was Oli Burke was played in down the right once again squaring up to goal but it looked like he was clipped on the way through but nothing was given, and then a * minging tackle on Izzy meant Bayo couldn't come on because poor Izzy had to be stretched off, * * could of easy been a red card you * dirty *, Jonny Hayes came on instead for izzy, it was good to see Hayes someone i actually quite like try's his hardest and gives his all for the team he supports, but it was a massive shame to see Izzy go off and hopefully he is okay, also gutting for Bayo not to make his debut but it's good to see he's ready to play. The remaining time * all happened really, a few good bits of play from Celtic came to nothing while Hibs didn't test Bain, the full time whistle was blown with Celtic running out 2-0 winners and we are yet to concede in 2019. A resounding win for the men in Hoops, while it was only 2-0 we absolutely dominated Hibs from start to finish and it could of been a lot more. Hibernian to there credit came out and didn't park the bus but being honest they offered sweet * all up front. 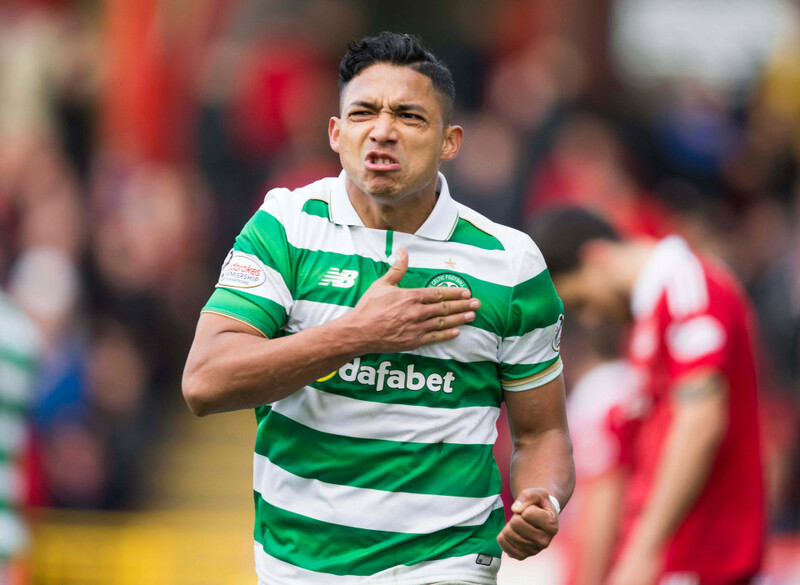 Stand out performances from Callum McGregor who ran the show and also Tim Weah, Oli Burke and Scott Sinclair who all played there part in a very good attacking performance, while we celebrate this win I hope Izaguirre is okay after being stretchered off and wish him a speedy recovery, a very poor tackle on him indeed, hopefully we see him in a Celtic shirt again. Also shout out to Scotty Bain who has kept 6 clean sheets out of 6, top * man. 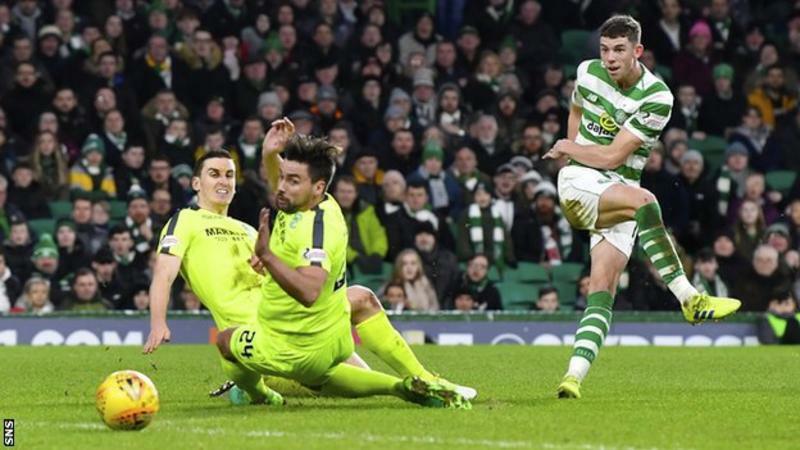 Next up for Celtic is St Johnstone (again ) at home in the cup on Sunday live on Sky or a stream if you use your common sense and * sky off. Swervedancer, JC Anton, Idioteque and 4 others like this.